The classic ‘banner bump’ comprises a pregnant abdomen, isolated from its female host. 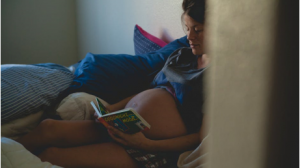 The hands resting protectively on the bump hint at a certain level of maternal anxiety – the image seems to equate pregnancy with peril, an impression generally reinforced by the risk-heavy focus of the accompanying article. But overall, the logic appears to be one and the same: if there’s only room for a bit of a pregnant woman, best make it the bump. This is, after all, her defining feature. Right? Aside from anything else, it is hugely unimaginative – one might think that picture editors would take pride in offering varied and inspiring images to accompany the work of their writer colleagues. The banner bump never has any stretch marks – it is pert, perfectly symmetrical, with ne’er a line on it. Pregnant women are already tasked with growing and birthing an entire human being. Images like these only add to the pressure, already keenly felt, that they must look picture perfect while doing it. In many cases the decapitated, partially dismembered bump is reminiscent of the images traditionally used in obstetric text books – the pregnant woman is depersonalized, a mere vessel for the unborn child. In this way the needs of the baby can become the dominant concern, while the woman’s experience is marginalized. The banner bump gives the impression that pregnant women have nothing better to do than stand around with their hands resting anxiously on their bump – most pregnant women I know are busy working, raising other children, marching for women’s rights, and possibly even very occasionally enjoying their pregnancy. It completely fails to capture – or event hint at – the vast, varied, intensely emotional experience that is pregnancy and childbirth. Pregnancy can be a time of great joy. It can also be a time of great sadness. Either way, the banner bump falls short, reducing the whole pregnancy experience to a snapshot of mild, anonymous, clinical anxiety. In the vast majority of cases the bump / anxious hands are white – the homogenous banner bump is unrepresentative of the UK’s diverse population. The picture below is a rare exception to this rule. However, the daring glimpse of areola (and, therefore, of the raw woman behind the bump), probably means that this image would be neither bland nor abstract enough to accompany a typical pregnancy news story. Of course, there are challenges in creating a banner shot that shows the totality of a pregnant woman. In many waking situations, humans ‘work’ better upwards than across – they are terribly inconvenient in that sense. Reclining shots – the woman could be pictured semi-recumbent. She might be comforting an older child at bedtime, reading the paper in the bath, or playing hide and seek under a sideboard (no-one said this would be easy). Showing another part of the pregnant woman’s body – this woman thinks her pregnant feet are a solid choice, and who are we to disagree? Giving the hands an occupation – they could be shown cooking, undertaking lab work, or fondling an ear of corn, to show a rare departure from the natural maternal state of idle anxiety. To clarify, this article is not anti-bump. 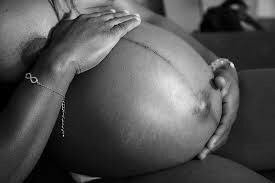 It is hard to deny the visual impact and symbolic value of the swollen pregnant abdomen as site of the growing baby. Many women choose, themselves, to share images of their changing bump online as a marker of their advancing pregnancy. The transformation that the body undergoes during pregnancy is remarkable. 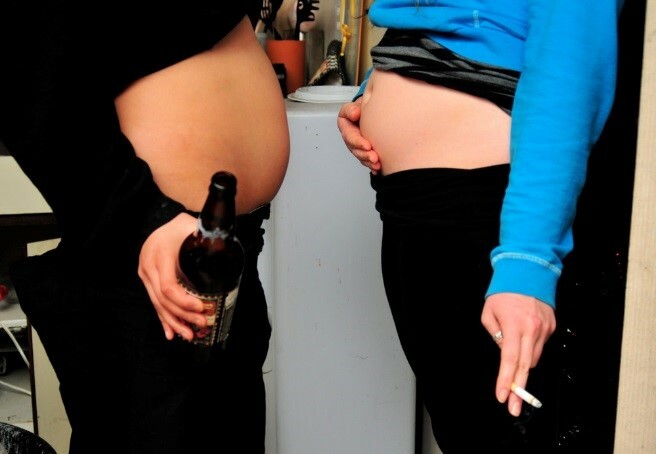 Therefore, it is not surprising that the bump features prominently in the collective consciousness (i.e. online image bank) as a kind of icon for the pregnancy experience. But, today, I read a news story about fetal movement which featured two bumps. Two! One pointing right, one pointing left. And they were not even banner shots, so on this occasion we cannot blame the demands of e-formatting. Now, we are not going to solve the issues of monotonous stock imagery overnight. But can we please make a collective effort right now to be a little more creative when choosing images intended to represent the vast and varied life experience that is pregnancy. And, if we cannot do this, can we at least agree: no more than one banner bump per anxiety-inducing article. Julia joined the University of Leicester in 2016 to undertake a PhD studentship exploring variations in care following altered fetal movement. 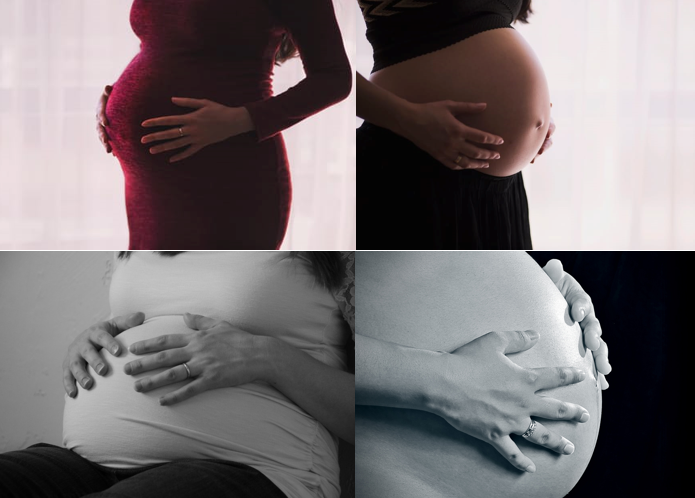 This is a collaborative project between SAPPHIRE and TIMMS, with qualitative methods and sociological theory shaping an exploration of this widely recognised risk factor for stillbirth. Julia’s academic career started with a Modern and Medieval languages BA at the University of Cambridge, with honorary MA (Cantab). After several years as a youth worker, she turned to a career in midwifery, graduating from King’s College London in 2014 with a BSc in Midwifery with Registration. Julia continues to work as a midwife on a part-time basis in London and Derbyshire. In her spare time, Julia is facilitator for the Positive Birth Movement Sheffield, hypnobirthing teacher, and occasional (but keen) rock climber. Really interesting article which really hammers home the insidiousness and all pervasiveness of some of the images in our culture that we don’t always stop to question.